For Valentine’s Day, my hubby gave me a nasty cold, lol. I was tempted to skip the challenge this week, but we can’t have that can we? 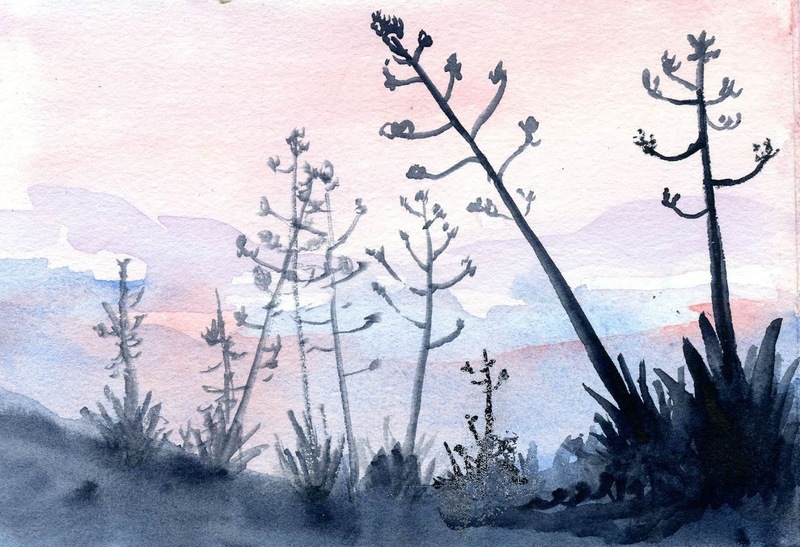 A while back, when sharing the way I’m using Alice Hendon’s Tangle Starts planner, I mentioned that I was looking at plants for inspiration – cacti particular. Wonderful plants are the cacti! I found one that is so-so simple to do, yet creates such a cool look, and I realized it was perfect for today’s post. So simple that even sick, I could whip it out. And it only took me 5 times longer than it should, lol. So I’m hoping it’s easy enough for just about everyone. 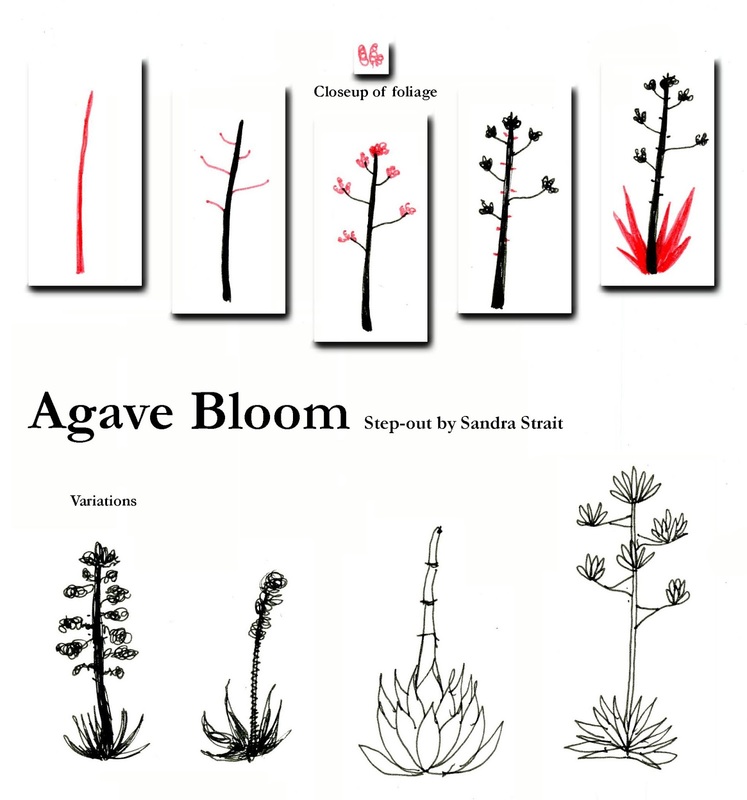 The Friday Fun & Easy Landscape Challenge 2/16-2/22: Draw a landscape using the Agave Bloom Step-out. Extra calorie-free brownie points for adding some kind of cactus from your own imagination. Example done with Schmincke watercolor on Hahnemühle Cézanne 140 Hot Pressed. Adapted from a photo on Pixabay.